Trim, cut and scrape with this handy metal tool. Uses ordinary single-edge razor blades. 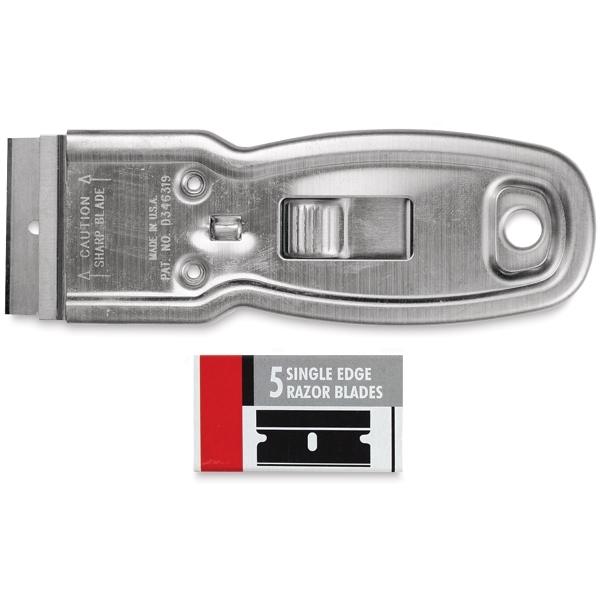 Push-button safety retracts blade when not in use. 5 blades included with each scraper.